Equity First Realty knows that it’s not too many real estate brokerage firms out there offering rebates. So you might be asking how we are different from Redfin. 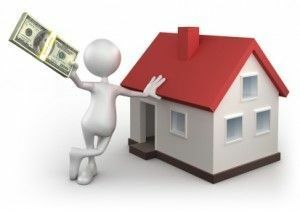 The answer is that we offer much higher cash back rebates and will guarantee our rebate will be $3,000 more than any rebate offered by Redfin*. Equity First Realty rebate is usually 2% of the sales price and Redfin’s rebate is much lower. Will I work with the Broker? A Virginia Real Estate Broker will work for you throughout the whole transaction. You will work with a real estate agent. Who will write my offers? Work with a Virginia Real Estate Broker to write your offer. Redfin likes for you to start your offer online. What’s the minimum rebate offered? The minimum rebate offered is 1.5% of sales price. Their minimum rebate is $495. Redfin Homepage at the bottom. How much is your rebate on a $700,000 home purchase? * Equity First rebate is $14,000 Redfin rebate is $3,990 based upon Redfin’s website. Homepage at the bottom. *Based on a 3% commission on a new construction home. Call us today to connect with a full-service real estate broker.